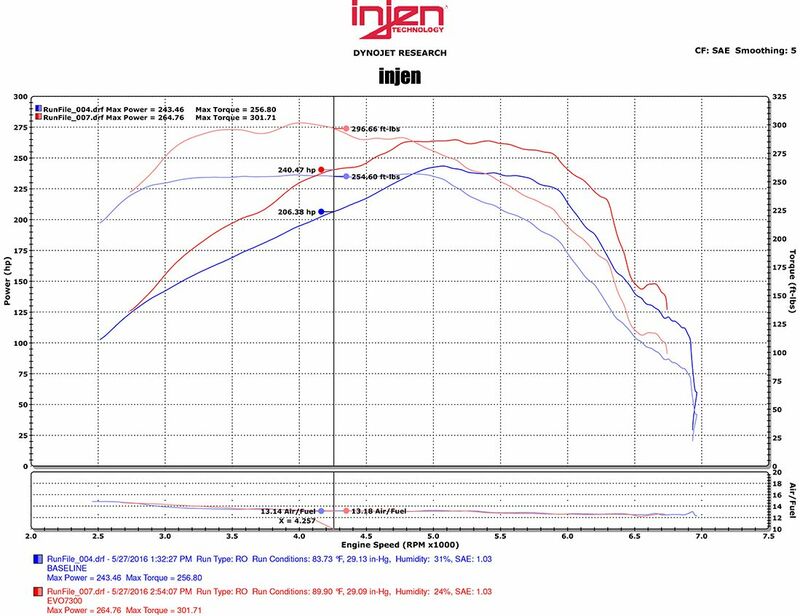 Evolution Series Air Induction System Incl. 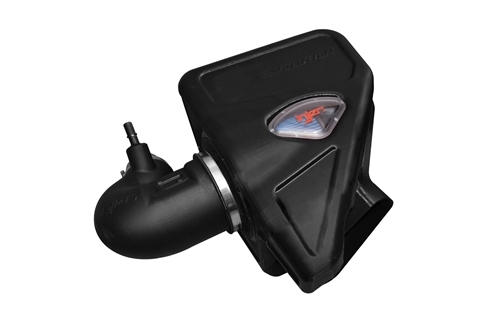 Enclosed Air Box w/Tube/Filter/Housing w/ClearVue Sight Window/Hardware/Instruction HP Gains +34.0 HP/Torque Gains +42.0 ft. lbs. 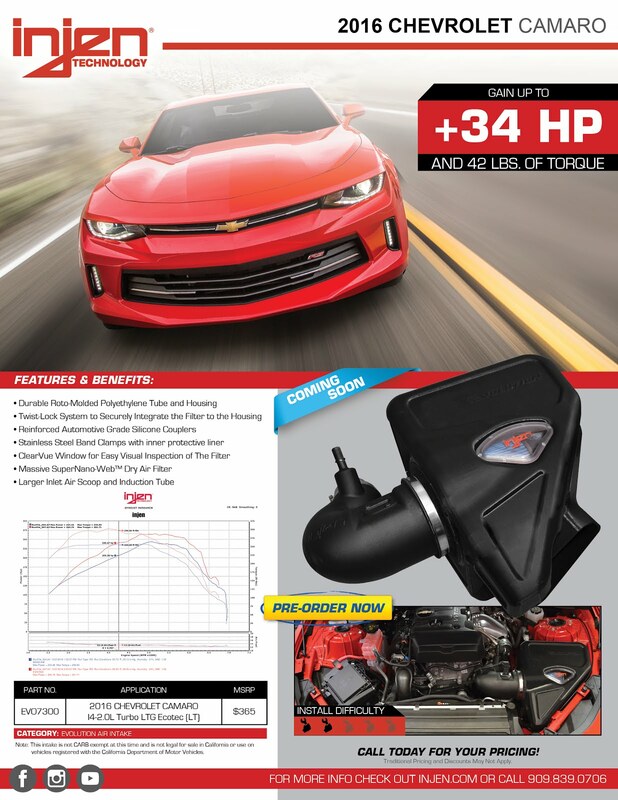 Product Features Fully Enclosed Rotational Molded Induction System Comes w/Built-In Filter Monitor For Easy Cleaning 100% CAD Designed For An Easy Install Dyno Tuned For Max Power And No Check Engine Lights Automotive Grade Couplers and Hoses Stainless Steel Hardware/Clamps And Screws Increased HP Up To 34 Increased Torque Up To 42 ft./lbs. *FREE SHIPPING INSIDE THE LOWER 48. Please contact first if you are outside of the lower 48, or are ordering internationally. 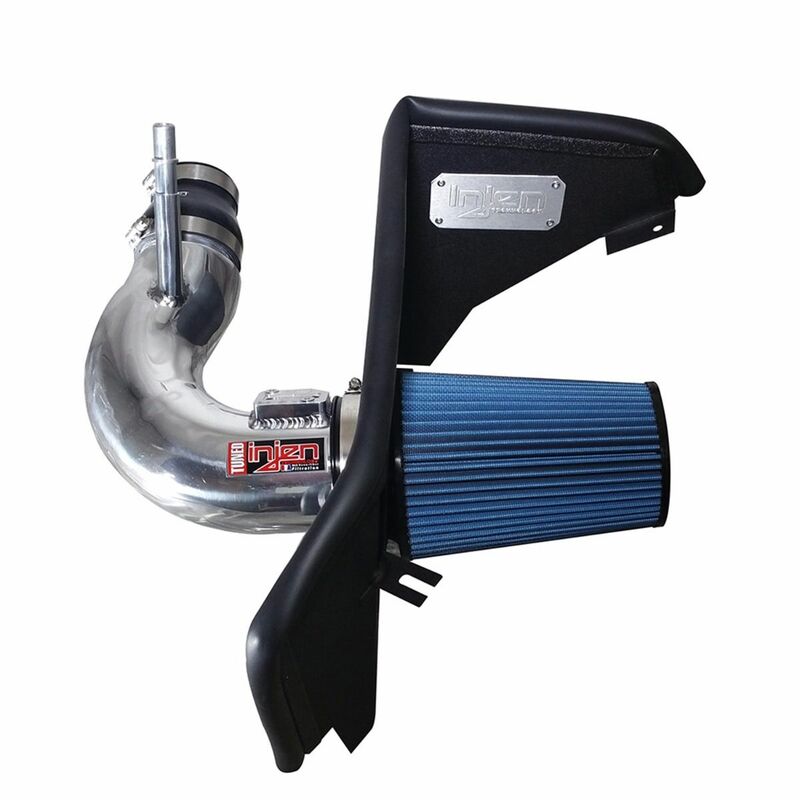 Cold Air Intake System Incl. 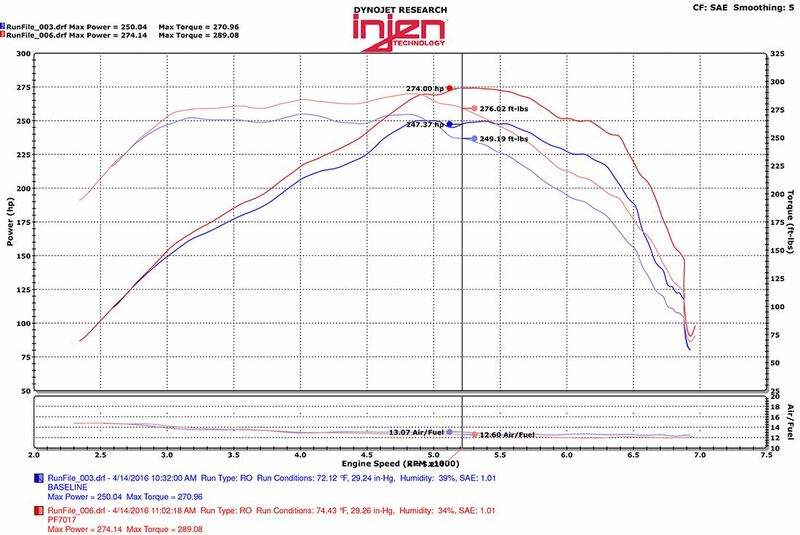 Tubing/Filter/Heat Shield/Air Horns/Hardware/Instruction w/MR Technology HP Gains +26.0 HP/Torque Gains +27.0 ft. lbs. 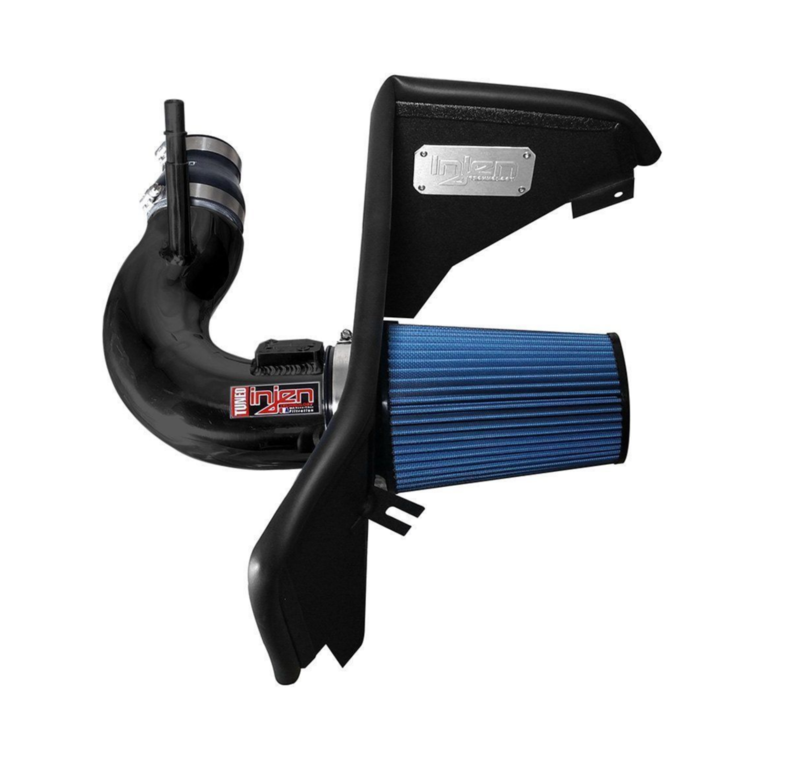 Wrinkle Black Product Features Tuned Cold Air Intake MR Technology Patented Tuning Process Injen Powerbands For Secure Fit Complete Bolt Design SuperNano Web Dry Filter X-1079 Increased HP Up To 26 Increased Torque Up To 27 ft./lbs.